Have you ever had one of those days, or weeks or months where you feel so overwhelmed? You have so much to do in the office, your plate is not only full, it’s overflowing!!! Sometimes that feeling of overwhelm can feel paralyzing because you just don’t know where to start. When you face a situation like this, the best thing you can do is just START. Don’t let yourself become crippled by the sheer volume of tasks/projects, just start one thing at a time. And of course, start on the traditional to-do list. You have tasks that need to get done, and you make a list of them. Next, take each item on the list and prioritize them according to their importance, time frame when they must be done, etc. As you complete each task, cross it off, or check it off –whatever works for you. There is something very satisfying that comes from seeing the list grow shorter! Next, make sure you set small tangible goals. Its important to be able to see a couple month down the road and envision how you will feel when that big project is done, but stay satisfied in the little accomplishments. You can probably envision the goal you have in mind, what the final result must be. But sometimes that can feel very daunting when the task itself contains many parts that must be completed. So break down that large task into small goals. By doing this you will be able to feel that the large task is more manageable. When you are facing the day ahead, it is always best to make a plan. Even if you aren’t one for writing that down, know what you want to accomplish and take it day by day. The overwhelmed feeling means you are trying to bite off more than you can in one day. Stick to small goals to ensure every day you can have that small sense of accomplishment. MONTRÉAL, July 20, 2015 /CNW/ – IOU Financial Inc. (TSX Venture Exchange: IOU) (“IOU Financial” or the “Company”) a leading online lender to small businesses, announced today it originated US$33.8 Million in new loans in the second quarter of 2015, representing a year over year increase of 40%. The growth in loan origination was driven by both the Company’s retail distribution channel and wholesale distribution channel. Specifically, loans originated through the retail channel (where borrowers are sourced through direct marketing campaigns) increased 144%, year over year, while loans originated through our wholesale channel (where borrowers are sourced via relationships with third-party business loan brokers) increased 37%, year over year. “The tremendous growth we have seen in the level of loan originations speaks to the success of IOU Financial as a preferred alternative lender and our ability to leverage our proprietary platform to execute quickly on new lending opportunities,” said IOU Financial CEO Phil Marleau. “Our mission is to fuel the growth of small business. We continue to succeed at that mission as more and more merchants are turning to IOU Financial for their working capital needs,” continued Mr.Marleau. Social Media – Which to Choose? So many platforms – so little time! Let’s see. There’s only 24 hours a day and 7 days a week to get everything done that you need to do on a weekly basis for your business. And that’s right, you don’t only need to work, you also need to eat, sleep and that’s right … have some fun! But how about social media? You know it’s important. Facebook, Twitter, LinkedIn, Instagram, YouTube, Pinterest … and that’s only a partial list of the social media platforms out there! How on earth could you have time to post on all of these platforms? So where do you start, or what platform do you choose for your business? It’s important to remember that it is better to handle a few platforms well, rather than cover a bunch of them poorly. Here is a snapshot of each. Facebook – Facebook is best for the type of business that is “consumer” based, as that is who your followers will primarily be. But many consumers are also business people, so Facebook, due to its popularity is always a good idea. Also Facebook is very good for “local” businesses like restaurants, because you will have local consumers following you. Twitter – Twitter similarly is important to be on due to its popularity. 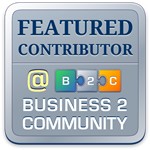 “Tweet” has become a household name and this platform works well for all types of businesses. LinkedIn – LinkedIn is a good source for all things business related. It’s a more professional environment where people go to discuss topics related to their job or industry. Good for business to business information, and showing that you are an expert or “influencer” in your field. Instagram – If your business is a “visual” business such as fashion, you need to be on Instagram. This is a great way to advertise daily store promotions to generate a following. Pinterest – Similar to Instagram – Pinterest is all about the “visuals.” You can add your own pins of your content. Show examples of how people can be using your product in their daily life. This is a platform where you want customers to feel inspired about what you offer. Make your “pins” something worth saving for them to go back to. YouTube – If you have videos to share to complement your brand go for it with YouTube. It’s a way to add real personality to your company. This is also a great platform for internal training purposes. Adjust the settings of any video to control who is meant to see it. With all platforms, you want to post regularly. But the key is to post not only links that promote your brand, but content that your followers will find valuable. And always remember it’s not only important to post but to respond and communicate as well. So choose those platforms that you feel are most valuable to you and your brand, and give those social media channels the attention they require and deserve. https://ioufinancial.com/wp-content/uploads/2015/07/Social-Media-Header.jpg 300 925 Christine Watts https://ioufinancial.com/wp-content/uploads/2016/06/IOUFinancial_HeaderLogo-300.png Christine Watts2015-07-21 16:00:132015-07-15 19:26:52Social Media – Which to Choose? • IOU board and management poised to deliver sustainable long term shareholder value, Qwave offer puts that at risk. • Qwave’s partial offer significantly undervalues IOU’s market position, assets, brand presence, and long-term business prospects. • Qwave’s track record is unknown and they have not articulated a credible plan for IOU. Montreal, Quebec, July 10, 2015 – IOU Financial Inc. (TSX Venture Exchange: IOU) (“IOU” or the “Company“), a leading online lender to small businesses, announces today that its Board of Directors (the “Board“) has carefully reviewed and considered the unsolicited partial takeover offer from Qwave Capital LLC (“Qwave“) for the purchase of 34,000,000 outstanding common shares (the “Common Shares”) of IOU (representing approximately 55.3% of the issued and outstanding Common Shares at the date hereof (50.4% of Common Shares on a fully-diluted basis) at a price of $0.50 per Common Share (the “Qwave Partial Offer“) and has received the benefit of advice from the Company’s financial and legal advisers. The Board unanimously recommends that IOU shareholders (“Shareholders“) REJECT the Qwave Partial Offer and NOT TENDER their Common Shares. Shareholders who have already tendered their Common Shares should WITHDRAW them immediately. “We take our responsibility to you, our Shareholders, seriously and this is why the Board unanimously recommends that you REJECT this opportunistic and financially inadequate unsolicited partial offer which fails to recognize the full value of your Company and its growth story. This partial offer is a coercive attempt by Qwave to gain control of your Company and capture its upside potential, without offering you an appropriate control premium”, stated Evan Price, Chairman of the Board. “IOU has a bright future ahead, this offer undervalues our strong market position, growing brand presence in the United States, as well as our future earnings and growth. The Board and management of IOU believe that the Company is well positioned to deliver sustainable long term shareholder value – and as such, each of IOU’s directors and officers will reject the Qwave Partial Offer and not tender their Common Shares,” continued Mr. Price. • The Qwave Partial Offer Significantly Undervalues IOU’s Market Position, Assets, Brand Presence and Long-Term Business Prospects. The Board believes the Qwave Partial Offer does not reflect the underlying and long-term value of IOU’s assets and businesses and provides inadequate value to Shareholders as the business of IOU is poised to undergo a significant transformation with respect to how it is funded. This is due to the business now having the scale and experience to allow for additional (lower-cost) on-balance-sheet funding that will significantly enhance the earnings profile of the assets under management by IOU. The Company has consistently been an industry leader, and continues to build momentum. IOU’s proprietary platform has enabled it to fund over $200 million in small business loans, leveraging technology to provide a faster and more efficient loan process. • The Qwave Partial Offer is Financially Inadequate. IOU’s financial advisor, Raymond James Ltd. (“Raymond James“), has delivered an opinion that the consideration offered pursuant to the Qwave Partial Offer is inadequate, from a financial point of view, to the Shareholders. The Board has instructed Raymond James to explore alternative transactions to the Qwave Partial Offer. The Board intends to use the time provided by IOU’s shareholder rights plan, effective as of June 29, 2015 (the “Rights Plan“), to vigorously pursue those alternative transactions. • The Timing of the Qwave Partial Offer is Opportunistic. The Board believes that the Qwave Partial Offer was opportunistically made at a time when the Common Shares were trading near their 52-week low. • Qwave Has Not Articulated A Credible Plan For IOU’s Business. Qwave claims that the Qwave Partial Offer will help “grow” the Company, The Qwave Partial Offer does not provide for additional financing which could help such claimed growth as the Qwave Partial Offer does not add to IOU’s treasury. Qwave has failed to provide any visibility as to any planned changes to IOU’s business plan, management or board of directors. It is unclear what benefits, if any, there would be for Shareholders through a successful Qwave Partial Offer. With effective control, it is evident that Qwave can act to its own benefit, however, to the detriment of other Shareholders. • Qwave’s Track Record is Unknown. Qwave claims to have a “strong track record of success” at “finding and investing in companies with breakthrough technologies and excellent potential for growth and value creation”. IOU is not aware of any previous investments made by Qwave in companies similar to IOU or involved in a similar industry. Therefore, IOU doubts that an investor such as Qwave, which is “focused on physics and materials science”, has the expertise or experience needed to “grow the company, increase market share and create value for Shareholders”. • The Qwave Partial Offer Seeks to Provide Qwave with Effective Control of IOU, without Offering Shareholders an Appropriate Control Premium for the Common Shares Purchased and no Premium for the Common Shares not Purchased. If successful, the Qwave Partial Offer will in effect remove Shareholders’ decision-making rights in connection with, among other things, (i) fundamental changes such as certain acquisitions, mergers, amalgamations or other liquidity events, (ii) election of the Board, and (iii) the declaration of dividends. • Qwave’s Offer is at a Price Lower than it Has Indicated it Would Pay in the Recent Past. In respect of its February 2015 private placement offer, Qwave indicated in its press release of June 15, 2015 that it had then offered $0.58 per Common Share for a NON-CONTROL ownership stake in the Company, which is more than the Qwave Partial Offer of $0.50 per Common Share for a CONTROL position in IOU. Shareholders should not accept this low-ball offer which in no way reflects a control premium. In addition, Qwave itself has a robust view of IOU’s near term prospects as in its February proposal, Qwave was ready to invest in warrants to purchase Common Shares, exercisable over a 36-month period at a price of $1.16, which is significantly higher than the Qwave Partial Offer of $0.50 per Common Share. • The Qwave Partial Offer is, by its Nature, Coercive: Tendering Shareholders will only Be Able to Sell at Most 55.3% of their Common Shares. The Qwave Partial Offer is a “partial bid”, meaning it is an offer to acquire less than all of the Common Shares, and accordingly, it is not possible for all Common Shares deposited to the Qwave Partial Offer to be taken up and paid for by Qwave (due to proration). Shareholders will have no assurance as to how the balance of their Common Shares will be valued on the TSX Venture Exchange. • The Qwave Partial Offer is an Unfettered Right to Walk, Subject to 15 Conditions. The Qwave Partial Offer is highly conditional for the benefit of Qwave, resulting in substantial uncertainty for Shareholders as to whether Qwave will acquire any Common Shares under the Qwave Partial Offer. The Qwave Partial Offer is subject to 15 conditions, the majority of which are subject to Qwave’s determination “in its sole judgment”, providing Qwave with an unfettered right to not take up and pay for the Common Shares. • The Qwave Partial Offer will have a Material Adverse Effect on the Liquidity of the Common Shares. The Board believes that the liquidity of the Common Shares after completion of the Qwave Partial Offer will be adversely affected, which may in turn have a negative impact on the trading price of the Common Shares. In the absence of a liquid trading market, the market price of the Common Shares will likely not reflect the fair value of the Common Shares and selling Shareholders may be forced to accept a market price that is not reflective of the fair value of their Common Shares. • Risks Associated with Potential Loss of Key Management Personnel and Qwave’s Lack of Operating Experience. The loss of IOU’s current management team, or any member thereof, including, without limitation, its President and Chief Executive Officer, Mr. Philippe Marleau, would adversely affect the Company’s business and would also deprive IOU of such management’s intellectual and operational expertise, which is at the core of IOU’s competitive advantage and success. Qwave’s lack of experience and expertise in this highly specialized industry, combined with a potential exodus of senior, experienced management of IOU, could adversely affect the value of the residual Common Shares held by shareholders. • The Qwave Partial Offer is not a Permitted Bid. The Rights Plan was adopted by IOU effective on June 29, 2015 in response to the Qwave Partial Offer. Under the Rights Plan, any offer for less than all of the Company’s issued and outstanding Common Shares, including the Qwave Partial Offer, will not be considered a “Permitted Bid”. • Qwave acting in breach of a Confidentiality Agreement with IOU. Pursuant to a Confidentiality Agreement with IOU dated November 5, 2014, Qwave obtained access to non-public information about IOU. In response to the Qwave Partial Offer, IOU has filed a motion with the Québec Superior Court seeking to prohibit the misuse by Qwave of IOU’s confidential information and suspend the Qwave Partial Offer. On July 9, 2015, Justice Riordan of the Québec Superior Court issued an interim order providing “that any acceptance of the Qwave offer to purchase is to be held in trust by the Depositary and Information Agent and not remitted to the Offeror.” This interim order shall expire upon judgment by the Québec Superior Court on the motion for a safeguard order to be heard on July 15th, 2015. A copy of the Directors’ Circular, which sets forth in greater detail the Board’s recommendation and the reasons for rejecting the Qwave Partial Offer, is available under the Company’s profile on SEDAR at www.sedar.com and is being mailed to all Shareholders. The Directors’ Circular is also available on the Company’s Website www.ioufinancial.com. Any questions or requests for assistance may be directed to IOU Financial at 1-877-419-0934 (toll-free in North America) or investors@ioufinancial.com. IOU Financial provides small businesses throughout the U.S. access to the capital they need to seize growth opportunities quickly. Typical customers include medical and dental practices, grocery and retail stores, restaurant and hotel franchisees and e-commerce companies. In a unique approach to lending, IOU Financial’s advanced, automated application and approval system accurately assesses applicants’ financial realities, with an emphasis on day-to-day cash flow trends. It makes loans of up to $150,000 to qualified applicants within a few business days, with affordable charges favorable to cash-flow management. IOU Financial’s speed and transparency make it a trusted alternative to banks. To learn more visit: www.ioufinancial.com. Certain information set forth in this news release may contain forward-looking statements. Forward-looking statements are statements, other than statements of historical fact, that address or discuss activities, events or developments that IOU expects or anticipates may occur in the future. These forward looking statements can be identified by the use of words such as “anticipates”, “believes”, “estimates”, “expects”, “may”, “plans”, “projects”, “should”, “will”, or the negative thereof or other variations thereon. These forward-looking statements reflect management’s current views and are based on certain assumptions including assumptions as to future economic conditions and courses of action, as well as other factors management believes are appropriate in the circumstances. Such forward-looking statements are subject to risks and uncertainties and no assurance can be given that any of the events anticipated by such statements will occur or, if they do occur, what benefit IOU will derive from them. A number of factors could cause actual results, performance or developments to differ materially from those expressed or implied by such forward-looking statements, including, but not limited to, risks related to the actions taken by Qwave in connection with the Qwave Partial Offer, risks related to the actions taken by Shareholders in response to the Qwave Partial Offer, risks related to the possible effects of the Qwave Partial Offer on the business and prospects of IOU, risks inherent in growing a new business, dependence on third-party service providers, competition, regulatory risk, dependence on key personnel, risks related to rapid growth of IOU, security and confidentiality risk, risk related to inability to attract borrowers and lenders, technological development risk, IT disruptions, maintenance of client relationships, litigation risk, volatility of stock price, and other factors that are beyond its control. Additional information concerning these and other factors can be found beginning on page 13 under the heading “Risks and Uncertainties” in IOU’s management’s discussion and analysis dated May 27, 2015, which is available under IOU’s profile on SEDAR at www.sedar.com. 1-877-419-0934 (toll-free in North America) or investors@ioufinancial.com. Montreal, Quebec, July 7, 2015 – IOU Financial Inc. (TSXV: IOU) (“IOU Financial” or the “Company”), a leading online lender to small businesses, today announces that it has commenced legal proceedings against Qwave Capital LLC (“Qwave”) and its manager Serguei Kouzmine before the Québec Superior Court. IOU Financial alleges that, in making its unsolicited partial offer for 34,000,000 common shares of IOU Financial dated June, 25, 2015 (the “Unsolicited Partial Offer”), Qwave misused confidential information and otherwise acted in a manner not permitted by a confidentiality agreement dated November 5, 2014. Accordingly, IOU Financial is seeking, among other things, an order suspending the Unsolicited Partial Offer. Shareholders are reminded not to take any action with respect to the Unsolicited Partial Offer until the Board of Directors of the Company has made a statement with respect thereto. MONTRÉAL, Québec, July 6, 2015 –IOU Financial Inc. (TSX Venture Exchange: IOU) (“IOU Financial” or the “Company”). Pursuant to the Press Release dated June 19, 2015, IOU Financial, a leading online lender to small businesses, wishes to provide further details regarding its previously announced private placement for gross proceeds of $3,118,000. As previously announced on June 19, 2015, a syndicate of agents (the “Agents”) led by Haywood Securities Inc. and including Cormark Securities Inc. completed an offering (the “Offering”) of 7,795,000 common shares (the “Common Shares”) at a price of $0.40 per Common Share (the “Offer Price”). As compensation for their services in connection with the Offering, IOU Financial has paid to the Agents a cash commission equal to 7% of the gross proceeds of the Offering, other than in respect to 1,250,000 Common Shares sold to a related party of the Company (for which a 5% commission fee was paid), and it has issued to the Agents an aggregate of 545,650 compensation options, each such option entitling the holder thereof to purchase one Common Share at the Offering Price until June 19, 2017. All securities issued at the closing of the Offering (including underlying securities) are subject to a hold period under applicable Canadian securities legislation and the policies of the TSX Venture Exchange (the “TSX-V”), which expires on October 20, 2015. We are not out to discredit banks or bankers, but we do believe that many potential borrowers make unwarranted assumptions about banks that we’d like to clear up. The bottom line is that sometimes a bank is a good place to get a small business loan, and other times it’s not. The small business loans you will be offered by your bank will be “products” that have been prepackaged for the “average” consumer. Certain products are favored and the bank pushes these, often offering incentives to loan officers who sell these products. This is not to say the products aren’t good, they just may not be good for you. Don’t expect you banker to tell you that, however. Even though bank officers may have fancy wood-paneled offices and wear expensive clothing doesn’t mean they have any certifications as credit advisors. For example, the average banker doesn’t have FICO Pro Certification, a basic credential that attests to knowledge of how credit scores work. Don’t expect this kind of expertise from the average banker, and if you need help with your credit history or score, be sure to speak to a qualified expert. Well, that’s a little extreme. What we really mean is that most banks use computer algorithms to determine whether you qualify for a loan and how much interest to charge you. Typically, the loan officer you visit takes down information and forwards it to the loan underwriters at the bank’s headquarters, who will not know or care one bit about any special circumstances attached to your small business loan request. For example, if you want to open a boutique in an up and coming area of town, some far-away analyst will look up the address, see that it’s listed as depressed and likely count that against you. In reality, the area may be on the rebound and your business plans may make a lot of sense. Often, when entrepreneurs are turned down for bank loans, they feel that the door to credit has been shut on them. IOU Financial has made small business loans to thousands of such individuals, because they take the time to understand the full picture. Non-bank commercial lenders are looking for ways to say yes to your loan application. They have the flexibility to take into account a broad range of information beyond your credit score. Furthermore, non-bank lenders may be able to work out payment terms that banks do not offer. Banks can be a great resource, but remember that they are just one kind of resource – when it comes to small business loans, you have other options. Where Did My Loan Officer Go? One dirty little secret among bank employees is that the good ones don’t remain at one place for very long. If your banker can draw a bigger salary from a competitor, chances are you’ll be assigned a stranger the next time you visit. Small business lending companies are run by entrepreneurs who are in it for the long run. If continuity of service and a personal relationship are important to you, think outside the box, er…bank, to include lenders where the owner is on premises and eager to meet with you. For more small business lending advice be sure to subscribe to the IOU Financial blog. It takes a lot of drive and dedication to start a business, as well as successfully operating and growing it. A business plan is an indispensable tool to get you started and keep you on track. Write a business plan first, and then spend the money necessary to start your business. Following a good business plan is the ticket for turning your dream into reality. We won’t concentrate on the details, but want to mention the important points you need to include in your business plan. First, make sure you do extensive research about markets, small business financing, projected costs and revenues. You will need this information in order to raise funding for your business. Use realistic assumptions and numbers — fooling yourself is a waste of everyone’s time, especially yours. Write the different plan sections using the details of your business — how you will organize and operate, cash flows, small business funding, marketing and selling, staffing, equipment, etc. Write clearly, in easy-to-understand terms. If necessary, have it professionally edited so that it has no grammatical errors — those can undermine your credibility. As work out your plan, you will doubtlessly be confronted by issues that you have never considered before. The business plan forces you to go beyond general concepts and anticipate problems before they cost you money, time and distress. You can usually correct problems after they occur, but at greater cost and at the risk that the problem may overwhelm your ability to respond. The detailed contingency plans you build into your business plan may make the difference between survival and failure. Lenders and investors want to see the cold, hard numbers before funding your venture. They will not provide small business funding without a written business plan that lays out all the numbers in a plausible way. Knowing this, you are forced to focus on the numbers to make sure they will support your presentations to lenders and investors. Nothing concentrates the mind like the challenge of making your numbers work, as your business’ future hinges on how well you meet your projections. If you are just launching your business, take care to include all startup costs, because you’ll be on the hook for omitted, unfunded costs. Your business will include others, such as vendors, customers and perhaps contract workers, management staff and employees. The business plan is a tool to align all stakeholders to the same goals, policies and practices. The plan also helps you focus on the important issues and not waste time on secondary concerns. Let your plan serve as the structure that guides operations and decision-making. As you can see, the time you spend on writing a business plan will pay dividends for years to come. Remember that the plan is just that — a plan, not a bible. This means you can adapt it to new information as it becomes available, while maintaining your overall mission. Think of the plan as a living entity that must evolve along with your business. Review your actual results every day and compare them to your business plan projections. You’ll quickly become aware of divergences, and this will allow you to take corrective action as early as possible. Make sure your share changes in the plan with your stakeholders, especially your lenders and investors. Should You Start a Blog for Your Business? Most every business has a website, but many sites suffer from stagnant content. This limits readership and gives no incentive for consumers to revisit a site. Without return visits, you generally have to make the sale the first time a consumer comes to your site. A blog can give you additional bites at the apple — more opportunities to convert interested readers into prospects and then customers. The content must be unique. This means no cutting and pasting. Search engines don’t give you credit for plagiarism, and may even downgrade you for it. The irony is that the search engines are only evaluating wording, not concepts. That means your blog ideas don’t have to be unique, only their expression. You can combine your own individual experience and viewpoint with material from other sites as long as you paraphrase — put it into your own words. The content should be authoritative. You are an expert at whatever you’re selling, and your blog should reflect this. Sure, you could write unique blogs about what you had for lunch, and you may even attract some readers, but you won’t attract prospects or improve your search engine results — unless your business is food-related! You benefit when your blog attracts folks who want their questions answered — they are natural leads for your product or service. Great content provides useful, accurate information without a lot of marketing copy. Authoritative blogs collect links from other websites and forums, a great way to boost your own search results and to become a thought leader in your industry. The blog should be well written. Nothing undercuts your efforts like poor grammar and punctuation, misspellings and awkward sentences. Search engines are pretty sophisticated and will downgrade you for mangling the English language. You may know a lot about your business, but no one will take you seriously if your content isn’t up to professional standards. If that’s a problem, hire a freelance writer or editor to help you churn out blogs that won’t make readers cringe. Blog frequently. Several short blogs a week (400 to 600 words each) are more valuable than the occasional long piece. Cast a wider net by varying you subject matter within your general topic area. Search engines reward fresh content, so keep them happy by generating at least one blog a week. Don’t be afraid to use guest bloggers or ghost bloggers, as long as you maintain editorial control over the final product. Shape your company’s voice by discussing current developments in your industry. You might also want to weigh in on current political, legislative and ethical issues that affect your business. Give your business an interesting personality that attracts readers. Get good ideas and feedback that can help your business. Blog comments can be very useful to you and your readers, especially if you learn something that you can apply to the way you operate your business. Always curate your comments and never print spammy, off-topic or self-serving material. Blogs are good long-term marketing investments that can attract prospects for years to come, and at minimal cost. Exploit blog analytics to gain insights into your audience and use this information to help set the contours of your blog material. This last point is really important — blogging is cheap. All you need is a few hours a week of your own time or the very modest cost of hiring professional bloggers. In either case, blogging is about the most cost-effective way to boost sales, so get inspired and start writing! https://ioufinancial.com/wp-content/uploads/2015/07/seo-blog.jpg 280 765 Robert Gloer https://ioufinancial.com/wp-content/uploads/2016/06/IOUFinancial_HeaderLogo-300.png Robert Gloer2015-07-06 10:32:082015-07-07 16:48:45Should You Start a Blog for Your Business?